Recent high quality satellite measurements of the ice mass of Greenland and Antarctica taken over the past eleven years indicates rapidly accelerating rates of mass loss in the past decade. 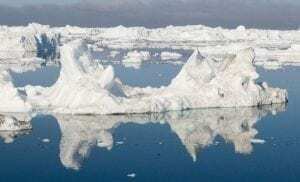 Ten years ago Greenland’s contribution to sea level rise was half a millimeter per year. Now, according to Professor Jason Box of the Geological Survey of Denmark and Greenland, it has doubled to one millimeter per year.